Gifts of stock and bonds can be one of the most advantageous ways of giving. Gifts in the form of incentive stock options or regular investment holdings allow the donor to deduct the full fair market value of the stock as a charitable contribution, while bypassing all capital gains taxes (to qualify you must own your stock for more than one year). Securities may be donated by transferring them directly into The Friends of Green Chimneys account. The value of your gift is calculated by using an average of the high and low prices of the security on the date that it enters our account. This date is included in our thank you letter. This letter can then be used as proof of your donation for tax purposes. Our broker cannot obtain any of your account information. Your information is kept strictly confidential to protect your privacy. Sampson is a mixed-breed sheep that came to Green Chimneys when he was just a few weeks old. He was bottle-raised by the children and, as a result of their love and care, has become one of the most trusting and gentle sheep at the barnyard. 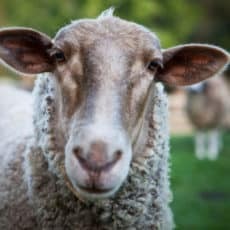 Each spring, Sampson is sheared to keep him comfortable through the hot summer months, and the children sell yarn made from his wool at the Green Chimneys Country Store.